A pair of Parisians specialising in arch art-pop, Papooz’s second album ‘Night Sketches’ is a real box of tricks, packed and stamped with certified hooks. There’s a levity to their slickly produced songs, sung in English and set to arrangements unafraid to meander and instrumentation eager to surprise. This is evidenced in single ‘You and I’ – glossy avant-indie that somehow manages to appeal in ways both cheesy and sleazy, and has a chorus that sticks. The video shows Ulysse Cottin and Armand Penicaut, friends since they were teenagers, locked in a devil/angel dichotomy. 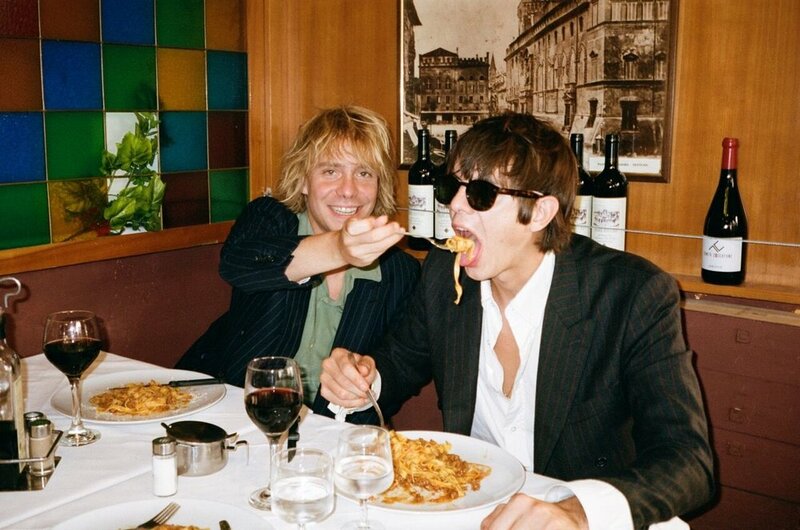 It’s a surreal ménage-à-trois with added noodles, and it is clear that the duo are having as much fun in the promo as is apparent in their music.